The world’s largest cannon on wheels used to be Jaigarh Fort’s claim to fame. Since then larger cannons have been built but few other forts as majestic have been built. 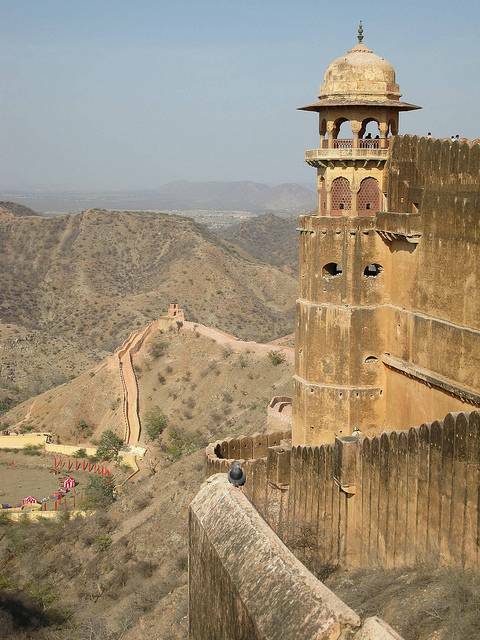 Set in the hills with rounded turrets and long spectacular walls, this is the fort that lovers of military history should come to see. This fort is actually connected underground to Amber Fort. The two forts together can be regarded as one complex. The Jaigarh Fort also has a museum which has collections of artefacts, portraits and paintings of the royal family members on display.